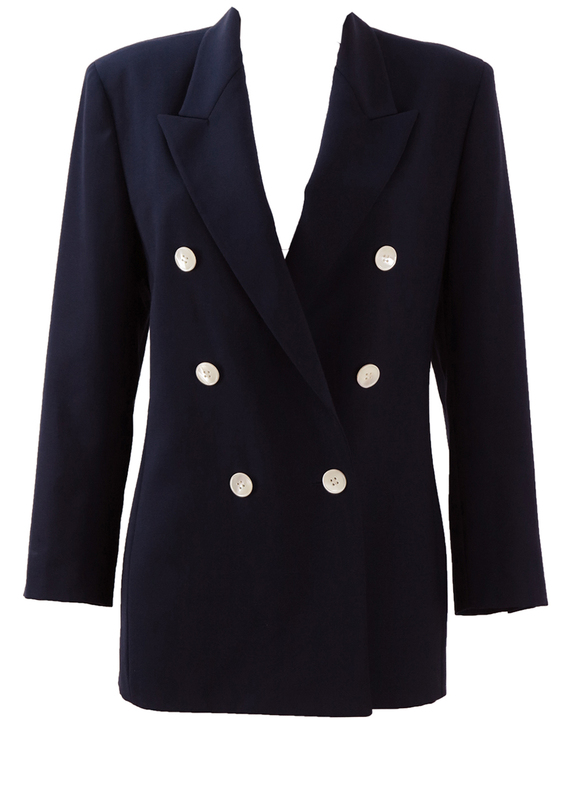 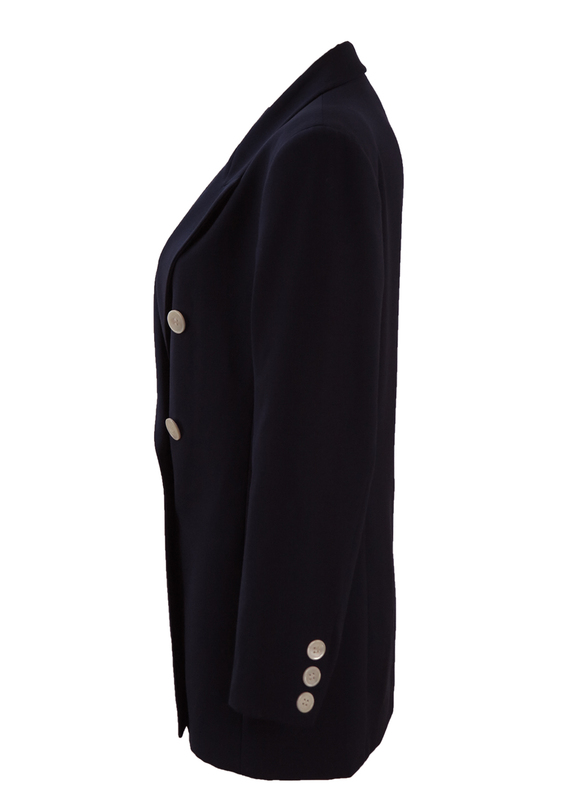 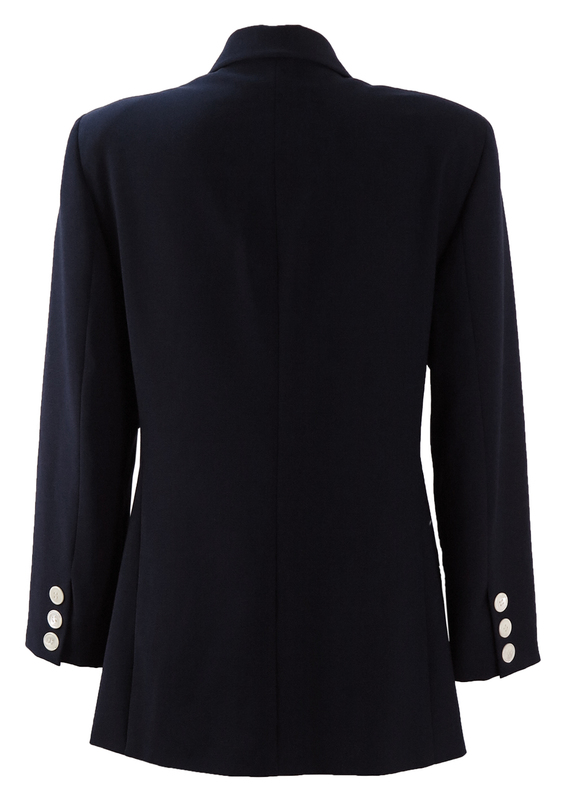 Beautifully tailored double breasted blazer jacket by high end brand Genny in a classic navy blue featuring distinctive white mother of pearl buttons. 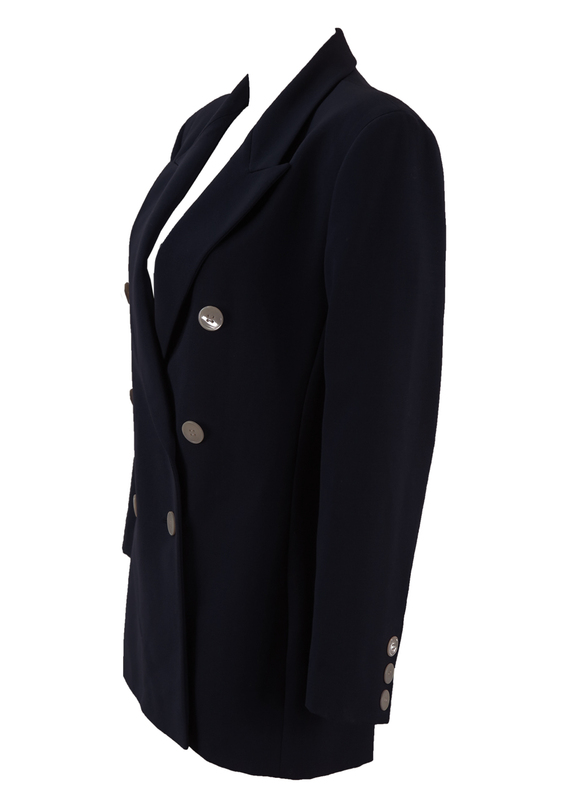 The jacket is made from a high quality fine, lightweight wool and is fully lined in navy blue. 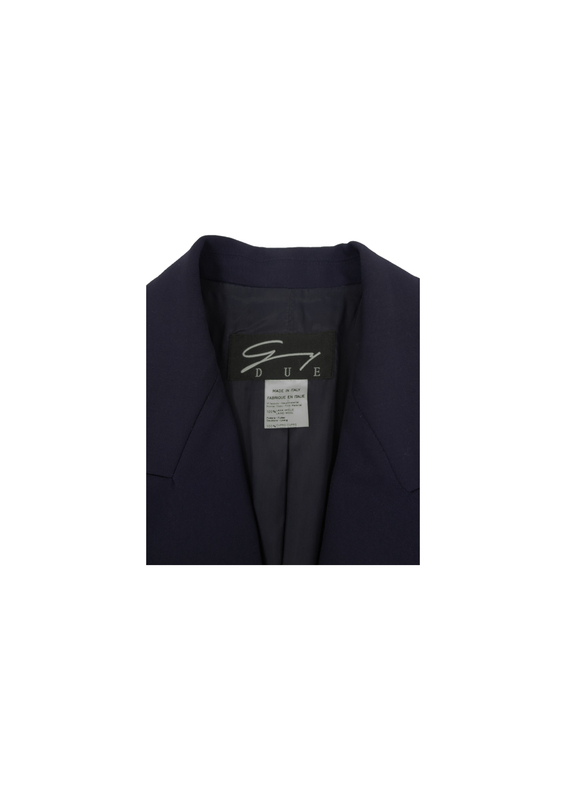 The sizing label states an Italian 44, French 42 and German 40 which we have equated to a size M. Please refer to our hand measurements for further sizing guidance.